Salem Presbyterian Women Spring Gathering – April 27, 2019 Working for Justice and Peace: 8:30a.m. – 12:30 p.m., Bethany Presbyterian Church, 1500 South Main Street, Graham, NC. Worship speaker will be the Rev. 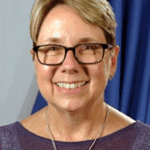 Dr. Jan Edmiston, former Co-Moderator of the 221st General Assembly (2016) of our Presbyterian Church (U.S.A.) She is currently the General Presbyter at Presbytery of Charlotte in NC. Her message: “Pretty Mission” based on Micah 6:8. A business meeting is also planned. Click here for more information.